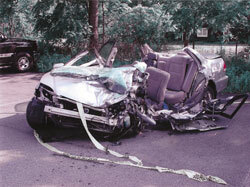 In July, 2007 a drunk driver took the life of a 23 year old woman. That woman was the mother of a 4 year old child. 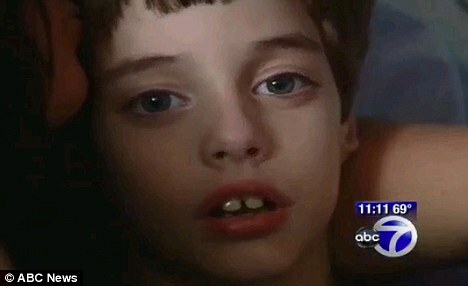 That child’s life was forever changed by the reckless and negligent conduct and actions of the drunk driver. Although the child’s life will never be the same – – the family of that young child sought expert representation from highly skilled lawyers to prosecute a civil claim for the wrongful death of the mother and to protect the interests and rights of her little child. This past week Ben Rubinowitz and Diana Carnemolla successfully resolved this claim after more than 3 years of litigation for one of the highest awards ever for this type of case – – 8 million dollars. The claim stemmed from the reckless and negligent actions of a drunk driver when he drove drunk and collided head-on with a car driven by a 23 year old woman. The mother was killed in the accident but her young child, who was a belted back seat passenger in her car, survived. The claim was brought under a number of legal theories which included the Wrongful Death of a mother, her Conscious Pain and Suffering for the few minutes that she lived following the impact, the Zone of Danger Damages suffered by both this mother/driver before she died and the Zone of Danger Damages suffered by the young child in witnessing her mother’s death. Both Rubinowitz and Carnemolla are partners of Gair, Gair, Conason, Rubinowitz, Bloom, Hershenhorn, Steigman & Mackauf, a firm that specializes in all aspects of Personal Injury Claims including Wrongful Death, Drunk Driving accidents, Car, Bus and Train accidents, construction accidents, Premises accidents, Civil Rights violations, Products Liability cases and Medical Malpractice cases. A Connecticut family received a record medical malpractice award in a lawsuit, after a jury determined that Daniel D’Attilo’s medical problems were preventable. Daniel needs constant care and cannot speak, eat or walk due to these injuries. Last week, he and his family were awarded $58 million in a medical malpractice case against the obstetrician who delivered him. According to lawyers, Daniel’s mother’s amniotic fluid dropped by half before going into labour, but her physician, Dr. Richard Viscarello, waited days to perform a Caesarian section. After a month-long trial the Jury decided that the D’Attilos should be paid $58 million compensation for ‘pain and suffering’ and for the Daniel’s past and continuing medical care. The attorneys at Gair, Gair, Conason, Rubinowitz, Bloom, Hershenhorn, Steigman & Mackauf have more than 90 years of experience representing patients who have been injured or have died as the result of medical malpractice involving birth injuries. In Brannan v Korn, Second Department, May 24, 2011, an action to recover damages for personal injuries, The Court granted defendants’ motion for summary judgment dismissing the complaint based on the emergency doctrine. The plaintiff, while attempting to walk across Ring Road, in Garden City, New York, was struck by a hit and run driver and, as a result of the impact, was propelled onto a second vehicle operated by the defendant Joseph D. Korn. The Court held that while “… the existence of an emergency and the reasonableness of the response to it generally present issues of fact, those issues “may in appropriate circumstances be determined as a matter of law” (Vitale v Levine, 44 AD3d 935)…” The Court went on to hold that the defendants were entitiled to judgment as a matter of law. One must wonder if plaintiff submitted a detailed affidavit of an accident reconstruction expert. In any auto accident case in which the emergency defense is applicable the plaintiff’s attorney must retain an experienced accident reconstruction expert, not a “generic” expert who will do a detailed site scene analysis, review all testimony, police reports, etc. and be able to state, not speculate, that to a reasonable degree of professional certainty, the defendant driver had time to react and avoid the accident. The affidavit must explain in minute detail the foundation for the expert’s opinion that the defendant had sufficient time to avoid the accident. Ben Rubinowitz has been asked to be one of the featured speakers at the New York State Bar Association’s Continuing Legal Education Program “How To Commence A Civil Lawsuit.” Mr. Rubinowitz will be speaking about Depositions. His lecture will focus on appreciating and understanding the New Rules of Depositions; How to effectively prepare a client for a deposition; and How to take an adversarial and Non-Party deposition. For more than 25 years Ben Rubinowitz has been recognized as an expert in his field in representing severely injured people as a result of car and motor vehicle accidents, premises accidents, civil rights violations, construction accidents and medical malpractice cases. In addition to his work at his firm, Gair Gair Conason Steigman Steigman Mackauf Bloom & Rubinowitz, Ben is a featured writer on Trial Practice in the New York Law Journal. To date, Ben has obtained 19 Verdicts and 83 settlements in excess of one million dollars for his injured clients. In Fox v H&M Hennes & Mauritz, L.P;et.al., 2011 NY Slip Op 03205, decided April 19, 2011, The Appellate Division, Second Department rejected defendant’s claim that plaintiff was enagaed in routine maintenance and thus Section 240(1) was not applicable. Our partner Ben Rubinowitz successfully resolved a claim against the New York City Transit Authority for $4 million. 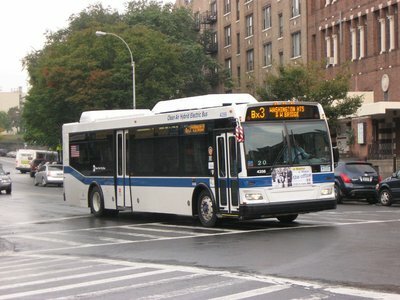 At the time of the accident, a young woman was crossing a New York City street when she was struck by a bus driven by a N.Y.C.T.A. employee. The defense claimed the accident was her fault asserting that she had not crossed in the crosswalk and that she failed to pay attention to the traffic conditions. The injured victim asserted that the bus driver failed to keep a reasonable and proper lookout failing to pay proper attention and in failing to avoid the pedestrian. As a result of the impact the woman suffered a degloving injury to her knee and pelvic fractures. Gair, Gair, Conason, Rubinowitz, Bloom, Hershenhorn, Steigman & Mackauf has had remarkable results for its clients in car accident, construction, premises liability, civil rights and medical malpractice cases. Ten of its lawyers have been listed in Best Lawyers and Super Lawyers. The Nassau Academy of Law is hosting a 6-session hands-on workshop series to learn and develop effective trial skills, from jury selection through summation. The New York Construction Accident Lawyers at Gair, Gair, Conason, Rubinowitz, Bloom, Hershenhorn, Steigman & Mackauf have years of experience representing construction workers who have suffered injury in construction accidents in New York.